Satan Goes to the Conspiracy Convention is an investigation into the role that conspiracy theories play in American life and the current political climate. 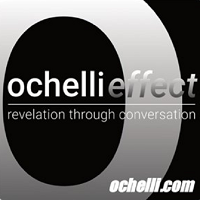 The story begins with the author crashing a convention for therapists who promote recovered memory therapy, a discredited (and dangerous) form of therapy that conjures up “memories” of past lives, extraterrestrials, and government mind control operations. From there, the reader will meet Pizzagate enthusiasts, conspiracy entrepreneurs, Satanists, flat-earthers, and people who believe that the Boston Marathon Bombing was a government “false flag” psyop. The story ends on the streets of Pittsburgh during the recent synagogue shooting and its aftermath. Ultimately, the book says, right-wing conspiracy culture is an authoritarian confidence trick that will only get more dangerous over the coming years. 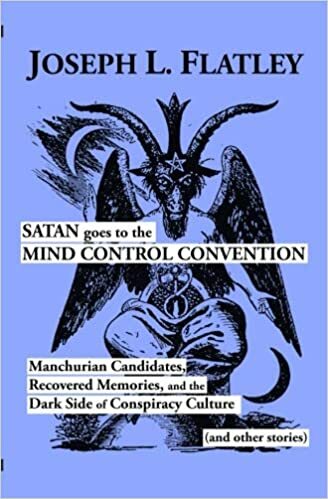 Journalist and filmmaker Joseph L Flatley joined me to discuss his latest book Satan Goes to the Mind Control Convention: Manchurian Candidates, Recovered Memories, and the Dark Side of Conspiracy Culture (and other stories). We start out by discussing why Joseph decided to write a non-fiction book this time around. Joseph also explained his precise definition of conspiracy theory and conspiracy theorists that is used throughout the book. Joseph and I then moved onto the topics that take up the first half of the book, the recovered memory community and the theory of wide spread Satanic Ritual Abuse perpetrated by the CIA and aliens. We focused on one of the leading charlatan’s in this field Dr. Colin Ross. We talked about the toxic practices that Ross and other employ on their mainly female victims. Joseph used the case of Roma Hart as a template to explain how Ross implants false memories of abuse. Later we talk about the creepier aspects of Ross’ “therapy” which infantilizes women and turns them into children. Joseph also touched on the role that Lucien Greaves and the Satanic Temple have done in exposing many of these dangerous practices. We also discussed Ross’ connections to Scientology. Later we talked about the broader issues related to conspiracy theory that Joseph bring up in the book. We discussed the rise of right-wing populist conspiracy theory and the role that is playing in everyday life. Joseph talked about his idea that conspiracy theorists are the canaries in the coal mine of society. We closed out the conversation by talking about Robert Bowers and the Tree of Life shooting in Joseph’s native home of Pittsburgh.